Designed for floors that are part of an aggressive daily maintenance program that includes scrubbing and burnishing w/ battery or propane equipment (2000+rpm). Specifically formulated for excellent recoatability and repairability. 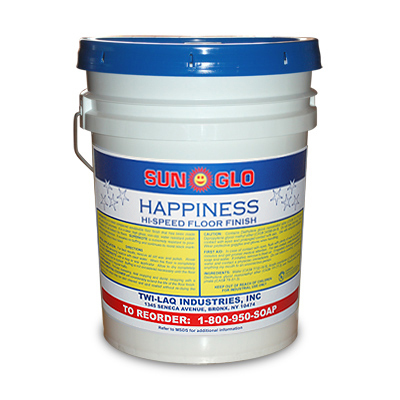 Happiness dries quickly and is slip resistant.